Paula Deen had it half-right with her love of mayonnaise. Maybe a quarter-right considering her unfortunate reveal earlier this year. Mayonnaise is a great ingredient—delicious on sandwiches, French fries, useful in cakes and a phenomenal starter base for creamy salad dressings. However, mayonnaise has a sleeker, better tasting and richer relative: aioli. It’s mayonnaise’s predecessor actually, and as every French cook worth their fleur de sel knows, it’s incredibly easy to make at home. Conventional mayonnaise, that jiggly, opaque stuff found in grocery stores, is a preservative-laden step away from the simplicity of a creamy aioli. 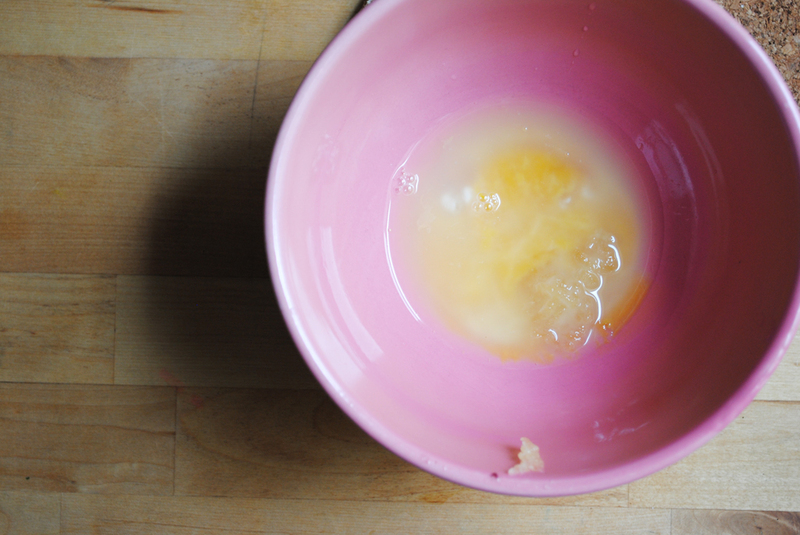 Aioli is simply an egg yolk saturated with good oil, creating a thick emulsion that plays well with everything. 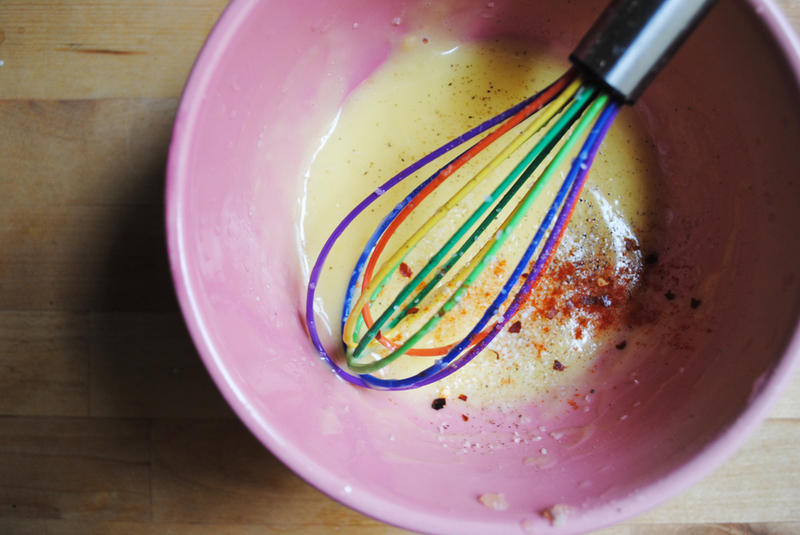 All you really need to make it is a bowl, an egg, olive oil, a whisk and some salt and pepper. Everything else that pops up in aioli is extra—chipotle, parsley, Parmesan, garlic, lemon, etc. Delicious, wonderful extras, but extras all the same. The beauty of making your own aioli at home is that you can tailor it to your tastes. Use whatever additions you like or none at all. Substitute it anywhere you’d normally use mayonnaise and use it as a blank slate to make your sandwiches, salads and pastas even better. I stirred in a bit of paprika, red pepper flakes and lemon juice, which made a lovely base for homemade tuna salad. Warning: Contains raw egg. But hey, raw egg isn’t the worst thing a college kid has ever put in their stomach. 1. Set a large bowl on a towel. 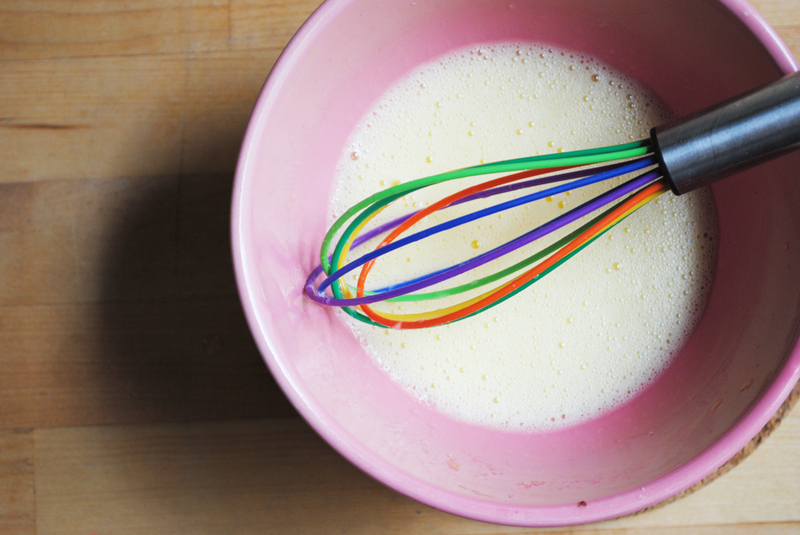 Whisk together the egg yolk, minced garlic clove and 2 teaspoons water. 2. Slowly pour in the neutral oil, whisking continuously. 3. Slowly pour in the olive oil, whisking continuously, until the mixture is emulsified. 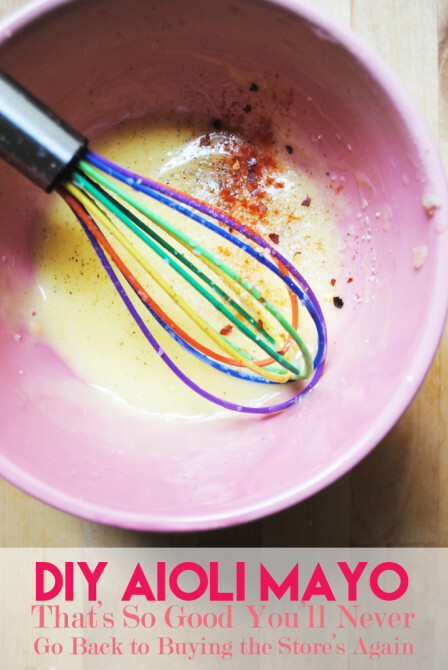 If the aioli breaks (looks greasy), slowly whisk the broken aioli into another egg yolk until it reaches a loose, mayonnaise-like texture. 4. Season aioli with salt and pepper, and add any other additions.